Digital Marketing Vs MBA – Which is a better Career choice? You have graduated from the university and you’re thrilled to jump-start your career. You want a Riche Rich pay however you’re confused in choosing the right career for you. More than 90% of the students feel like pursuing MBA is the next big thing which can help you become the next Bill Gates. If you’re an attentive reader like me, you might have a vague idea that students who have an MBA have a less chance of getting hired these days. Once upon a time MBA had its worth. People used to regard MBA degree and respect people who have an MBA degree tagged with them. However, when we compare that to people who mastered a certain art, like digital marketing or any other specific field earn more than the students who did MBA and earn 10K – 20K or in some cases driving Uber. Have you ever wondered the reason behind it? While MBA was once considered a gold-mine it is now cliché. Since everyone is doing it, students fall in a deep dilemma regarding which courses to choose to advance their career. On the other hand if you pursue a Digital Marketing course it does have long-term benefits on your career. In this blog, I would argue why Digital Marketing is a better career choice than doing MBA. First start with what is Digital Marketing? Digital Marketing is a form of marketing which help businesses advertise and promote their services and products to a highly-targeted audience. For instance, if you have noticed the amount of SMS, Emails, Facebook ads, and Instagram ads you come across each day, you’ll be amazed on the power of Digital Marketing and the potential which can make your career worthy. Of course, Digital Marketing have a upper hand and this is why..
You know what is a common thing in Google, Starbucks, Apple, and Amazon? None of these companies require a business degree to hire employees. If you have the right skills, the right mindset for the job, you’re more than welcome to jump in the interview. Let us drill down further and see why a Digital Marketing course is better career choice than doing an MBA. MBA lost its charm: What was once a necessity to earn a high pay, is now a cliché and a part of your boring CV. If you have the right knowledge in your niche, you can be hired by Google, Amazon, or even Apple. The old school curriculum: Knowledge is something which needs constant update. While you pursue your MBA, there are advancements in the field which are often unnoticed and make the MBA course obsolete. The MBA schools are using the same old philosophies & theories to educate the students. On the other hand, Digital Marketing is something which is trendy and based upon latest buyer persona of people. It gives you a clear vision and latest update on what is trending in the market and how the customers are perceiving about the services and the products. Digital Marketing is affordable, MBA is not: The students & professionals know for the fact that companies not only require MBA, it requires MBA from a A-class school. While some people have the money to do MBA, there are others who cannot afford to go for MBA program. 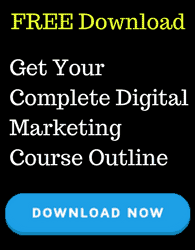 On the other hand, Digital Marketing is easy to learn. There are free courses out there which can teach you the degree of technical knowledge you need to build a career on it. Additionally, there is no prerequisite to Digital Marketing. The only quantity you need for Digital Marketing is being Internet Savvy. The Digital Marketing course is a science rather than just knowledge, which is better than pursuing an MBA course. There are many benefits to learn digital marketing. In fact, in my view the students who learn the advanced skills of Digital Marketing are paid more than fresh MBA students. Doing MBA is like pursuing a degree which is obsolete and doesn’t add any value to your practical life. Digital Marketing is a far better than pursuing MBA for countless years. Almost half of today’s workforce believes college degrees prepare them for the job interview, not the job. For the candidate to grow in the job what is required is skills. And Digital Marketing skills is something which can prepare you for the next big thing, which is reaching millions of people right from your home or office.